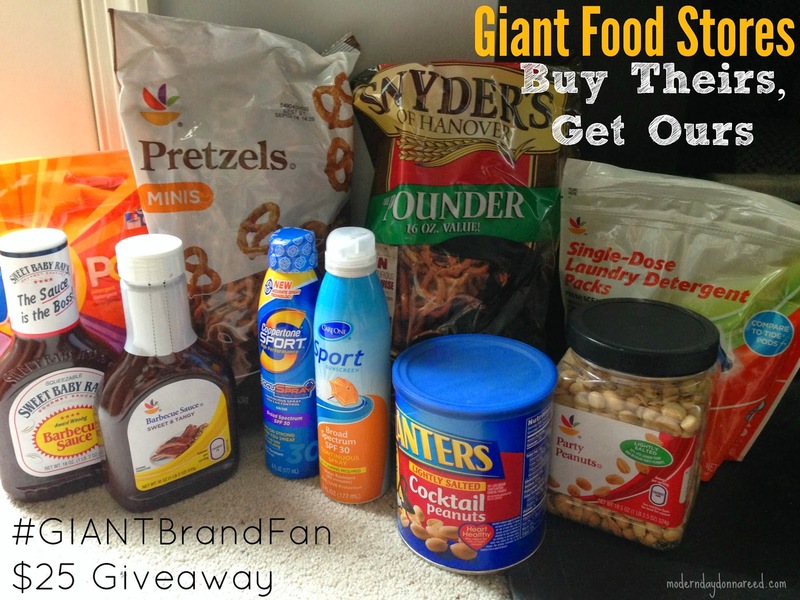 I was so excited when Giant Food Stores began their Buy Theirs, Get Ours promotion this past Spring. If you are not familiar, it's a challenge to test drive a national brand in comparison to the Giant brand version. Faithful Giant customers are given a chance to see how the Giant brand holds up to the national brand. How it works: you head to your local Giant. Grab the featured national brand products offered this week, and you'll be able to get the Giant brand version FOR FREE. I've been a huge #GiantBrandFan since, like, forever. This challenge has only confirmed the quality Giant puts in to their products. I'd imagine in a blind taste test (or use test), the Average Joe Giant customer wouldn't know the difference. Buy Sweet Baby Rays BBQ Sauce and get Own Brand BBQ Sauce FREE! Buy Tide Laundry Pods and get Own Brand Laundry Pods FREE! Buy Huggies/Pampers and get Own Brand Diapers FREE! Buy Tostito Simply Natural and get Nature's Promise Tortilla Chips FREE! One lucky reader will win a $25 Giant Food Stores Gift Card!